Mahendrakharal's website – Personal site. I really appropriate with the viewer who is connected with me in YouTube. i don’t believe yet, it is 10k viewer crossed in my channel and 100 over subscribers in the YouTube Channel. it is almost 1 year to actively engaged in YouTube. I know there is some mistakes in the previous videos but I am sure you will understand my feelings and thought. noways i am quite busy in my assignments, due to this i am not weekly active im my channel. you can see there I am monthly user ha ha.. but it is for some weeks no more. I understand your feelings but due to this certain circumstance, block me. Hey guys you know …. you can change your icon in your pc. it is easy but dont know to everyone.. so Mahendra kharal created one video for you which is available in youtube. 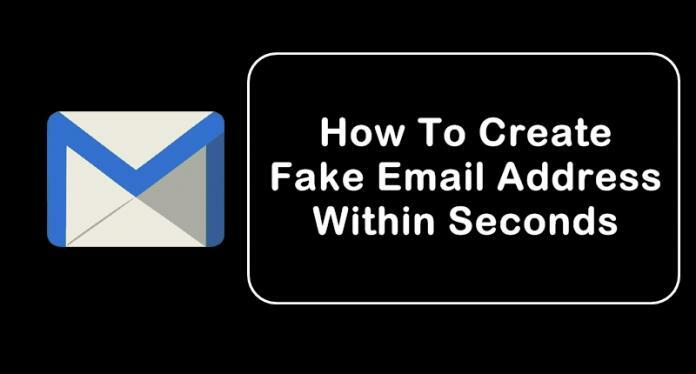 Learn how to create fake email address within seconds: If you are among one of them who provides the email address to everybody, you are bound to accept spam emails. Wouldn’t it be helpful to give a separate email address to each business or website, while getting all your emails as earlier? So today we are going to share an impressive process by which you can create a temporary email address. Go through the post to know about it. Email address is a type of identification by which an email receiver identifies the person who sends mail to him/her. That’s why while creating an email address you need to enter your personal details that must be valid. However, what if we tell you that you can create an email address that doesn’t require any validation of personal details and that email address gets permanently deleted after your work is done. So here we have a method To Create Fake Email Address. 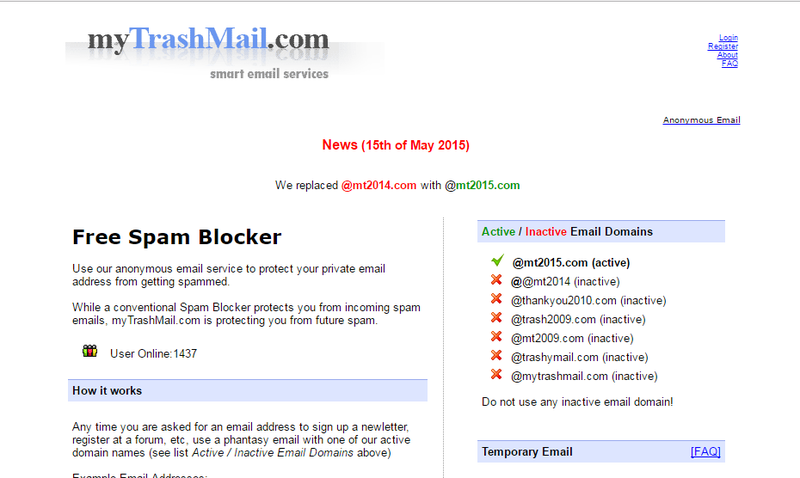 By this, you can create a fake email address that will get auto-deleted after ten minutes. Just follow the below steps to proceed. Note: – The method we are discussing is just for a knowledge purpose and should not be used for any illegal purposes, as we will be not responsible for any wrongdoing. The method of creating a fake email address is very simple and easy as these are based on online websites that will provide you a free email address without taking any personal details from you. 10 Minute Mail will provide you a temporary e-mail address. Any e-mails sent to that address will show automatically on the web page. You can read them, click on links, and even reply to them. The email address will expire after 10 minutes. 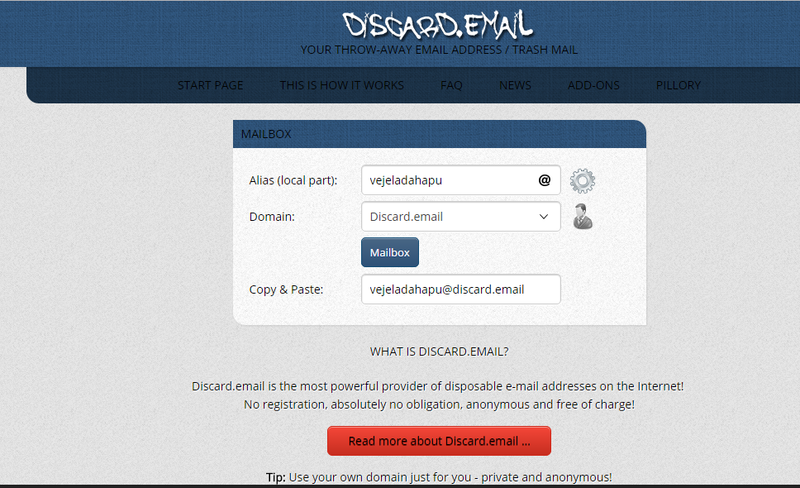 It is one of the most user-friendly ones out there, with this, you can get disposable email ID easily. You need to enter the details, and the fake email ID will be generated. Moreover, this also lets you send emails with attachment up to 150MB. You will be provided with a temporary email address which you can use to verify some websites which require the email address. 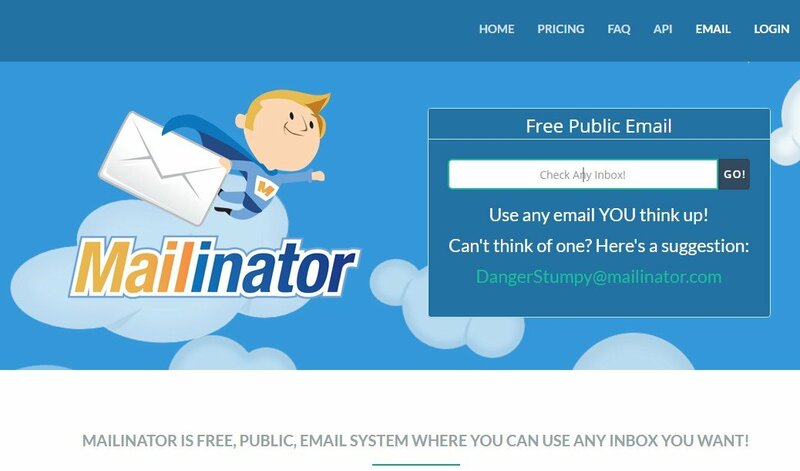 Mailinator is a free, Public, Email System where you can use any inbox you want. 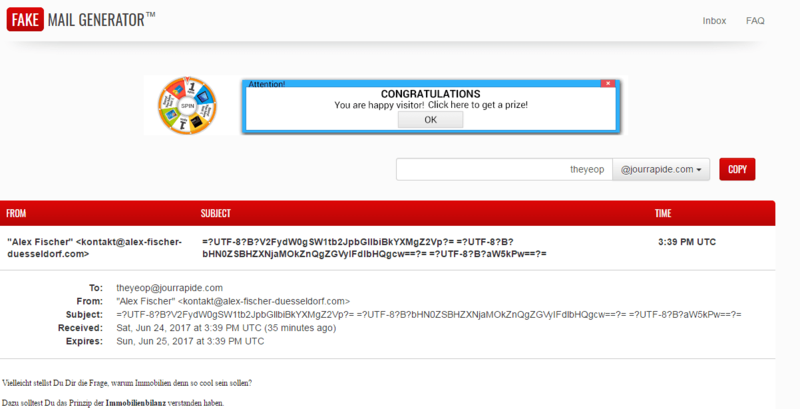 You will be given a Mailinator address which you can use anytime a website asks for an email address. The public emails you will receive will be auto-deleted after few hours of receiving. 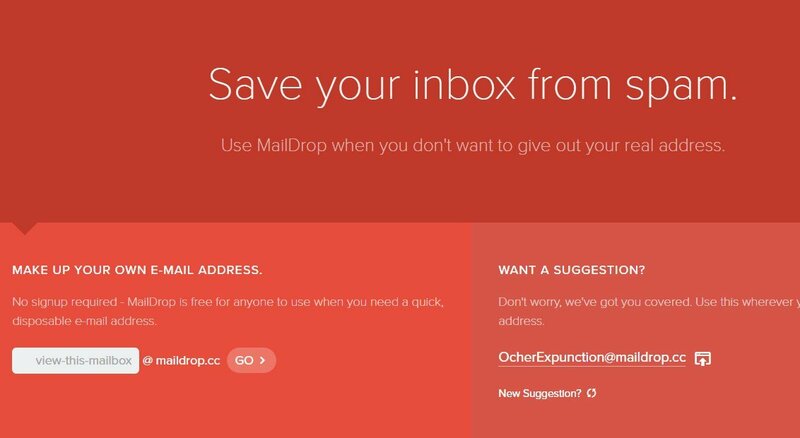 Maildrop is a great idea when you want to sign up for a website but you are concerned that they might share your address with advertisers. MailDrop is powered by some of the spam filters created by Heluna, used in order to block almost all spam attempts before they even get to your MailDrop inbox. This works the same way like Mailinator in which you will be given a temporary Email address which you can use to verify sites etc. AirMail is a free temporary email service, you are given a random email address you can use when registering to new websites or test-driving untrusted services. All emails received by AirMail servers are displayed automatically in your online browser inbox. 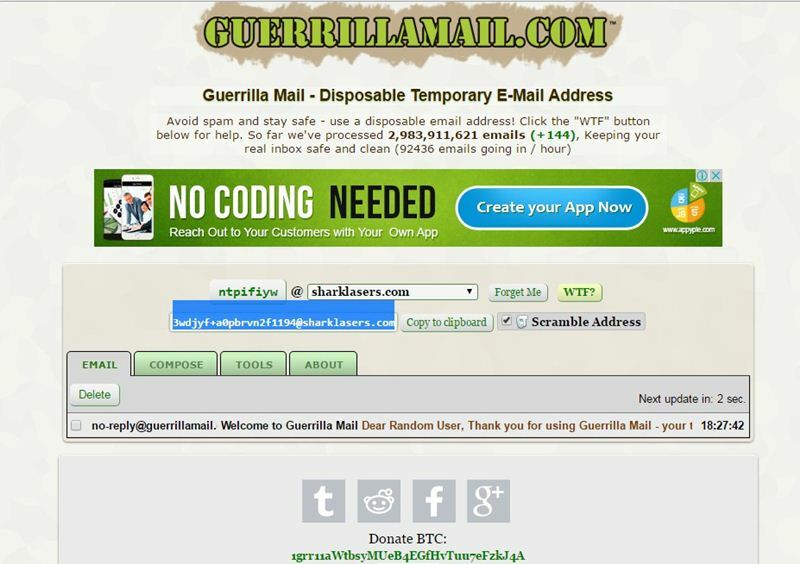 ThrowAwayMail.com is a disposable email address service. When you visit ThrowAwayMail.com a new email address is generated just for you. 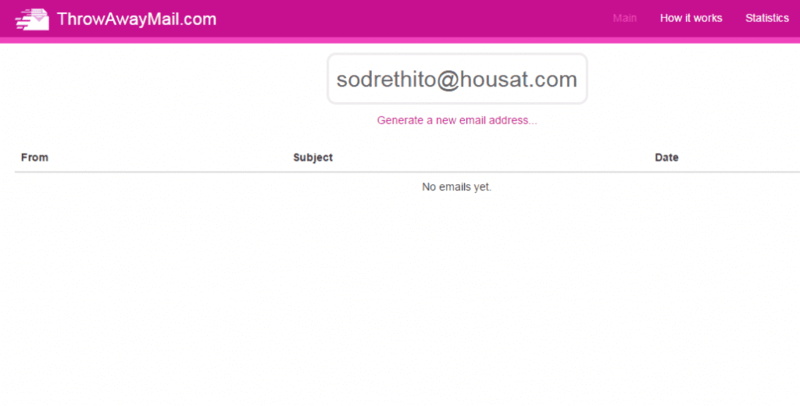 The generated email address can immediately receive email. Any email that is received will be showed on the main page. No one other than you will see the emails that are received. Any time you are asked for an email address to sign up a newsletter, register at a forum, etc, use a phantasy email with one of the active domain names listed on the site. You don’t have to register any account with this site, nor do you need any password. Your account is created on the fly. Like the site, it acts as a proxy. 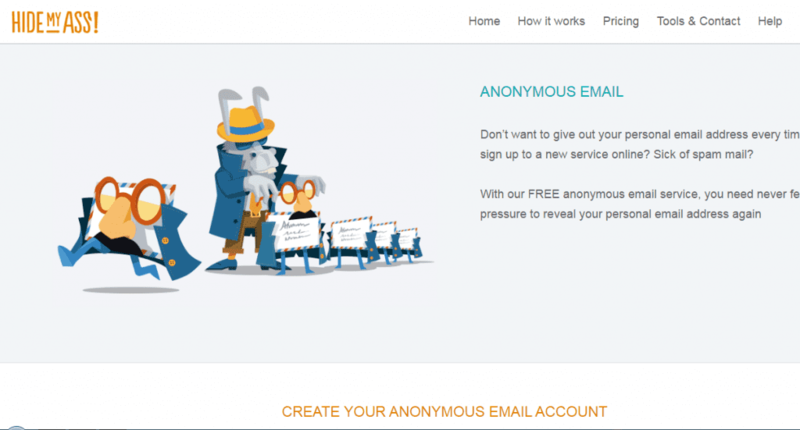 You can create a free anonymous email account and can use the email account to fill out forms when you don’t want to reveal your real email address. 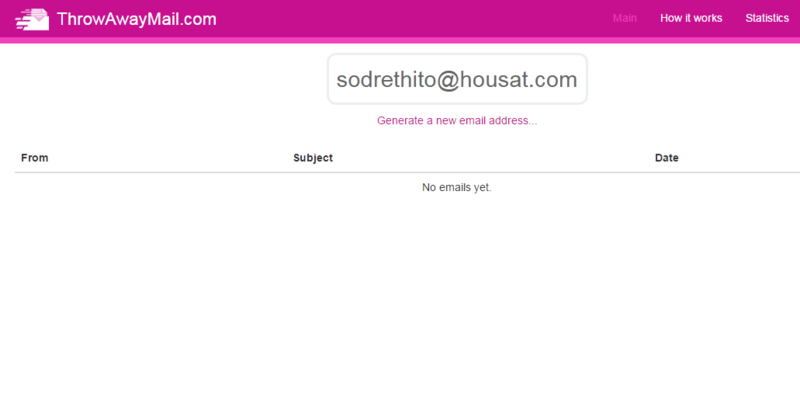 You can even set the email address to auto-delete after a set period of time. Just pick a random email address! 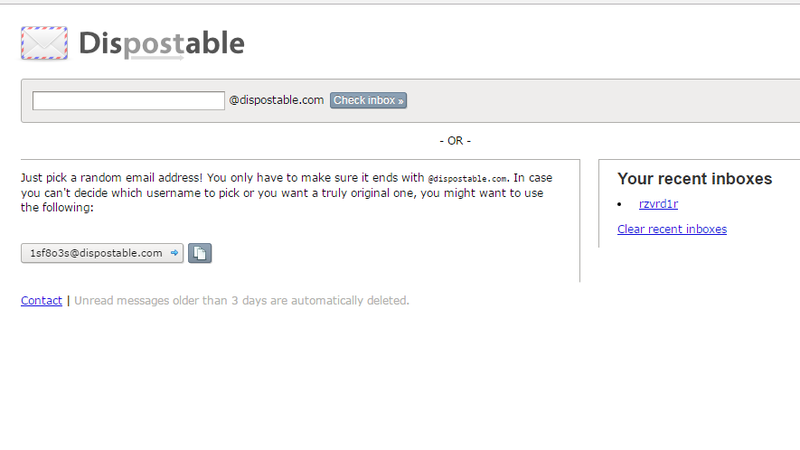 You only have to make sure it ends with @dispostable.com. The website has the very clean user interface. You can create the disposable account with this site. It is one of that site where you can create a disposable email address to fill out forms when you don’t want to reveal your original email address. You don’t need to register and its completely free to use. 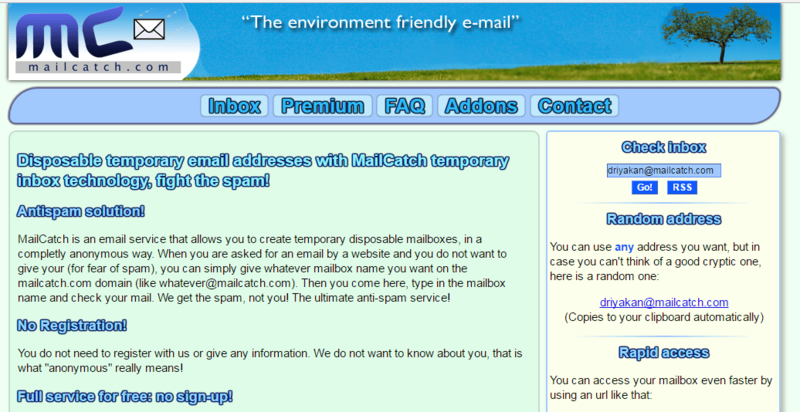 MailCatch is an email service that allows you to create temporary disposable mailboxes, in a completely anonymous way. When you are asked for an email by a website and you do not want to give your (for fear of spam), you can simply give whatever mailbox name you want on the mailcatch.com domain (like whatever@mailcatch.com). This is similar to 10-minute mail. 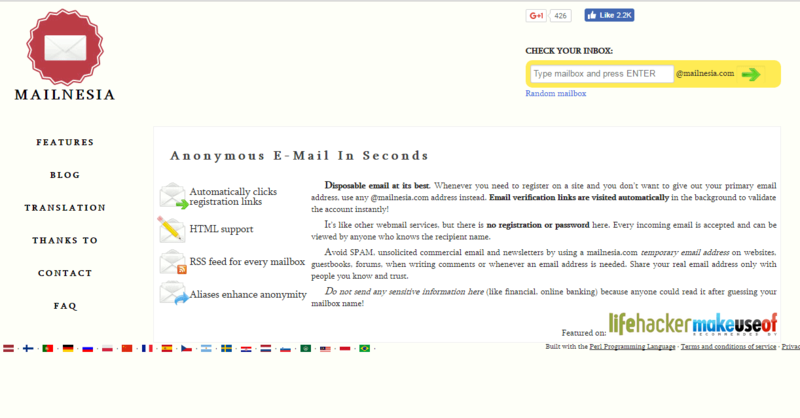 Fake Mail Generator is an ad-free site that generates an email for you automatically. You can use the email address for various services and logins. Whenever you need to register on a site and you don’t want to give out your primary email address, use any @mailnesia.com address instead. Email verification links are visited automatically in the background to validate the account instantly! sign-up wherever you want. 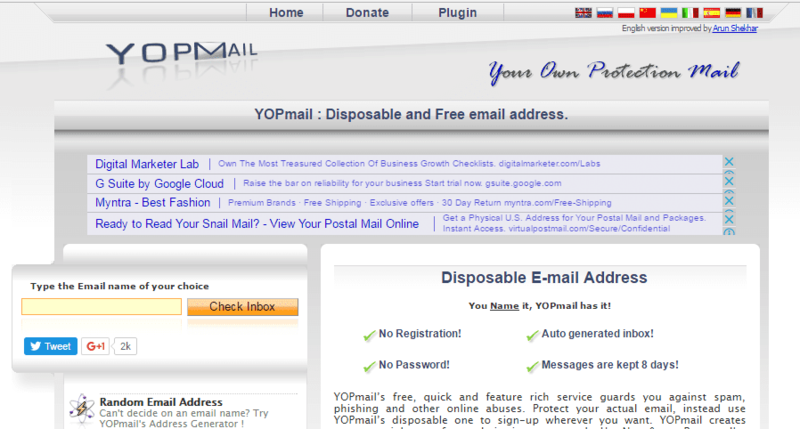 YOPmail creates temporary inboxes of your choice instantaneously. So this method is for How To Create Fake Email Address. By this, you can create multiple fake addresses without entering any personal details. 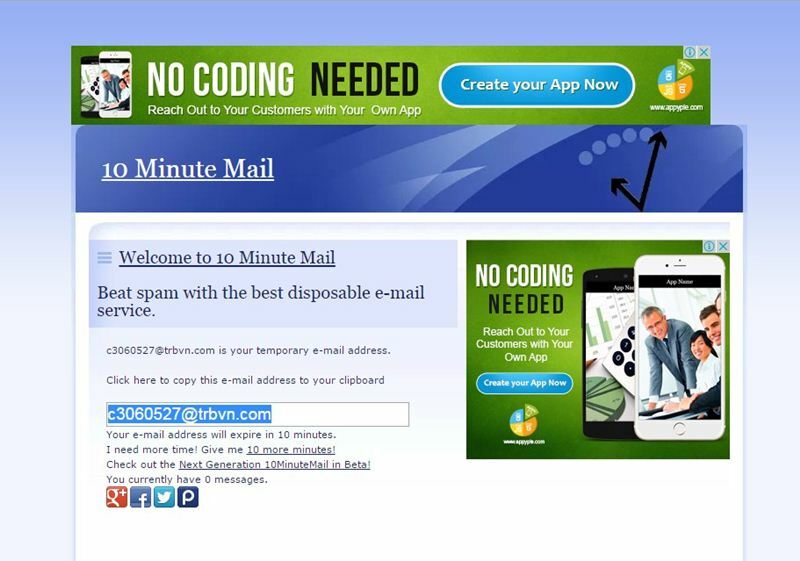 Moreover, the email address you used will get automatically deleted after 10 minutes of creation. Hope you like the post, don’t forget to share it with your friends too. Leave a comment below if you have any related queries. With the sole purpose of imparting MUN culture to youths of Chitwan district and encouraging them to participate in MUN sessions, Youth Thinkers’ Society Chitwan had recently organized a Model United Nations workshop at International School of Management and Technology (ISMT), Bharatpur, Chitwan. On 5th May, 2017, we, a group of 8 YTS members successfully conducted the workshop among 60 students of BTEC HND level 4 in computing and systems development faculty.